This example shows how to use the tone() command to generate different pitches depending on which sensor is pressed. Connect one terminal of your speaker to digital pin 8 through a 100 ohm resistor, and its other terminal to ground. Power your three FSRs (or any other analog sensor) with 5V in parallel. 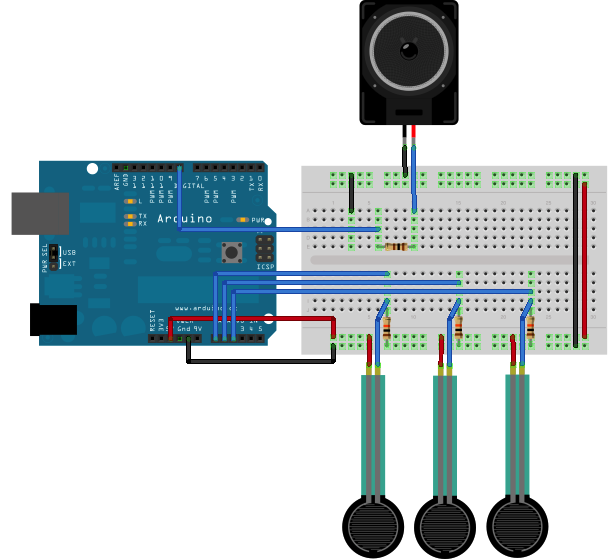 Connect each sensor to analog pins 0-2, using a 10K resistor as a reference to groud on each input line. The sketch below reads three analog sensors. Each corresponds to a note value in an array of notes. If any of the sensors is above a given threshold, the corresponding note is played. The sketch uses an extra file, pitches.h. This file contains all the pitch values for typical notes. For example, NOTE_C4 is middle C. NOTE_FS4 is F sharp, and so forth. This note table was originally written by Brett Hagman, on whose work the tone() command was based. You may find it useful for whenever you want to make musical notes. 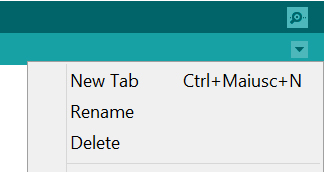 To make the pitches.h file, either click on the button just below the serial monitor icon and choose "New Tab", or use Ctrl+Shift+N. BlinkWithoutDelay - Blink an LED without using the delay() function. Button - Use a pushbutton to control an LED. Debounce - Read a pushbutton, filtering noise. DigitalInputPullup - Demonstrates the use of INPUT_PULLUP with pinMode(). StateChangeDetection - Count the number of button pushes. toneMelody - Play a melody with a Piezo speaker. toneMultiple - Play tones on multiple speakers sequentially using the tone() command. 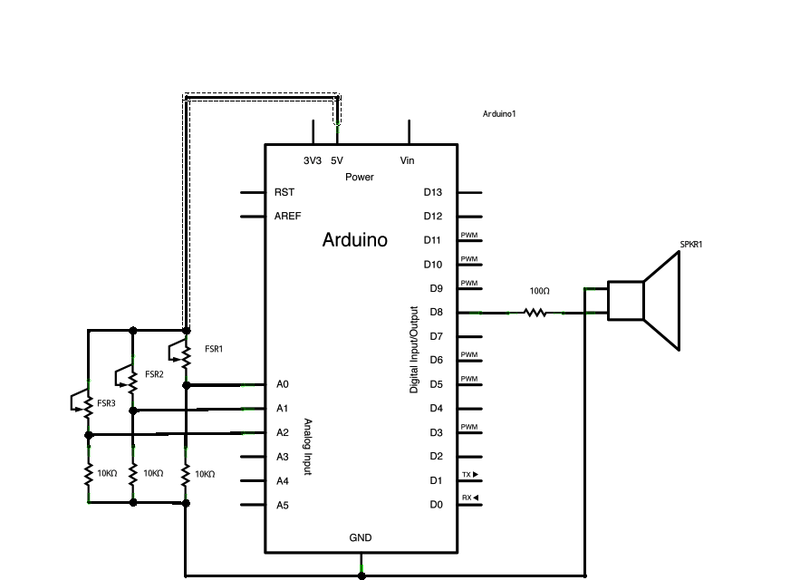 tonePitchFollower - Play a pitch on a piezo speaker depending on an analog input.